I have to first say how much I look forward to Monday nights and our CSA pickup. There are always surprises and everything is delicious. This is our second year as members of Southside, not just for the fresh fruit and veggies but because this group is hyper-organized, super nice, and heavily involved in building and protecting the community. Speaking of community, our share ‘family’ is myself and my boyfriend, Andy, and our downstairs neighbors, Karen & Dave. 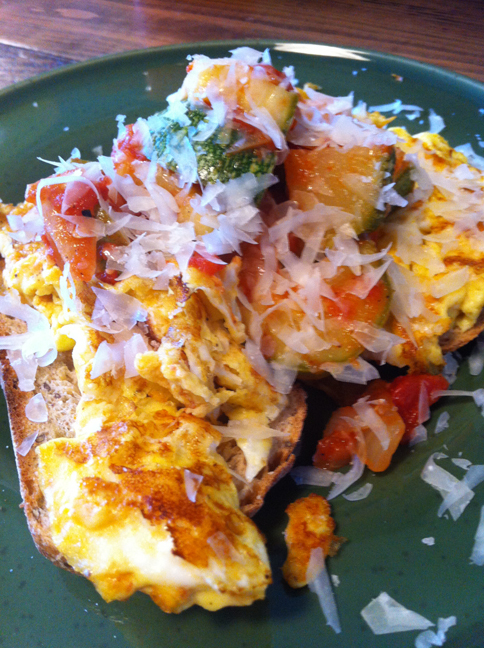 We share the ‘woods deluxe’ which is vegetables and berries every week and eggs and orchard every other week. So, I had thought last week was the week to blog and then I got word it was this week, so I have an combination to report. Because the veggies are so green (and always so fresh), we have been trying to celebrate them as the star of our meals, with little preparation and limited ingredients. So no difficult recipes here, what you see is what you get! Tabbouleh was our 2nd course utilizing Ina Garten’s recipe. This was SUPER delicious and I recommend it highly. 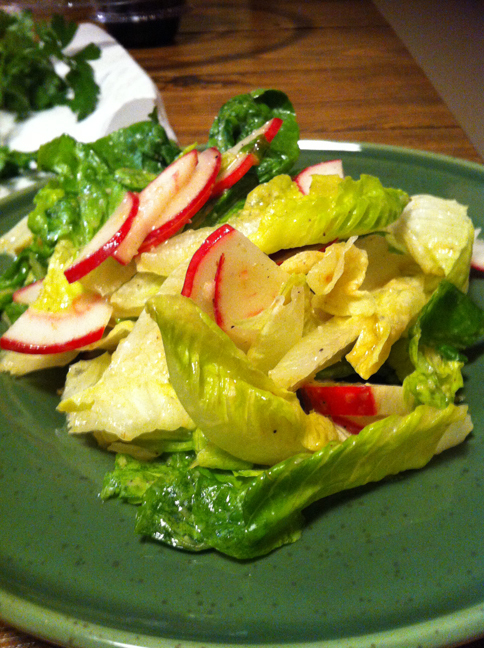 We used radishes & spring onion in our version. 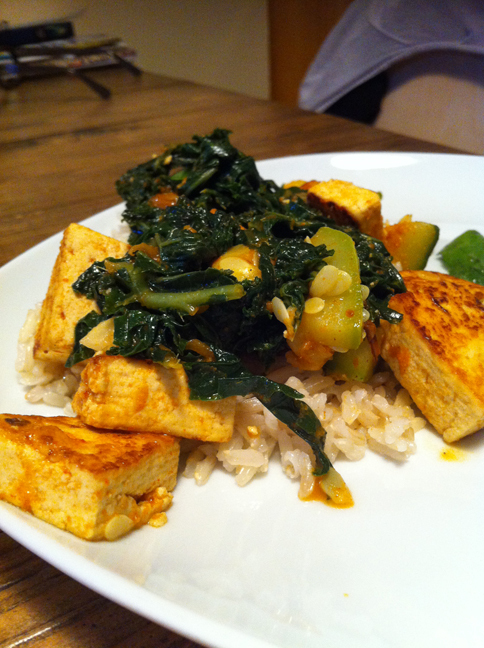 Two more dinners this week that were so easy and ridiculously flavorful were red curry tofu w/ Kale & squash and Harissa seitan with loads of spring onion (with greens). 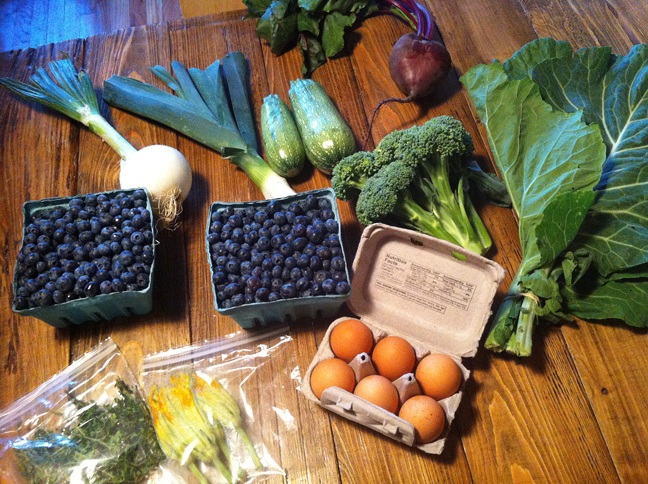 This week’s haul included: Blueberries, broccoli, squash, leek, onion, beets, collards, thyme, zucchini blossoms and eggs. 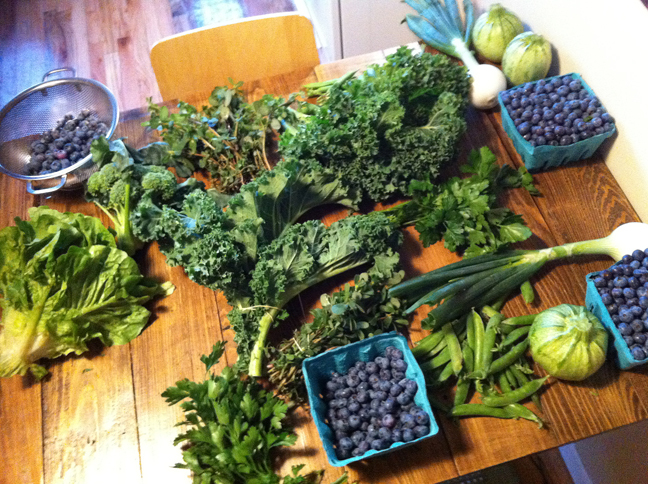 This is a photo of half our weekly share but I forgot to photograph it before we divided it with our neighbors. So think double…. 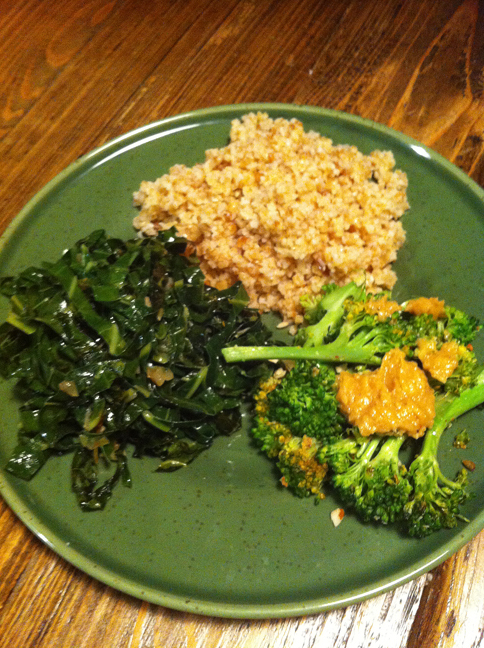 First night’s dinner was our version of the macro bowl. Well sort of, it just reminded me of that. 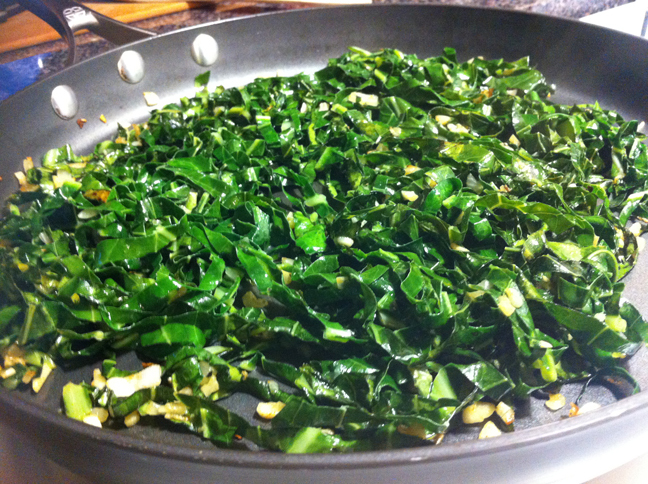 Rolling the collards and slicing strips is my favorite way to sauté this green. With garlic and spring onion, this all we needed. We added the leftover spicy garlic miso to the broccoli, some more tabbouleh and waaalah. 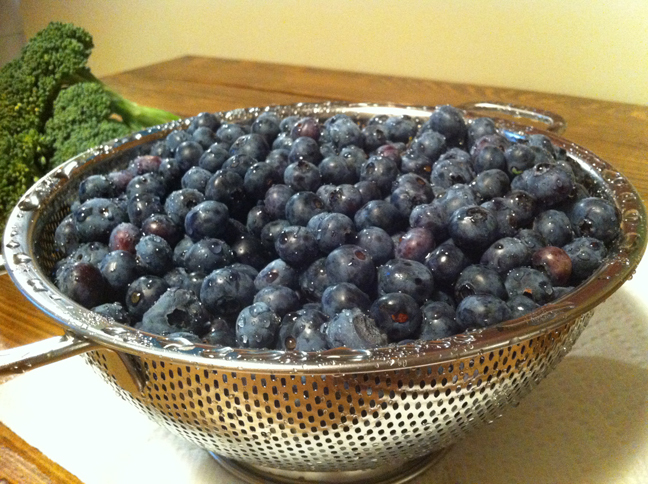 I always have dreams of preparing blueberries in many ways, baking muffins, cookies, breads, etc. 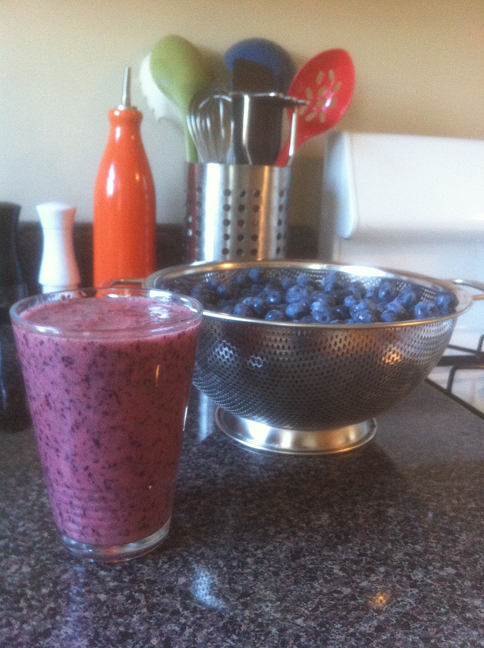 However, like most weeks we made smoothies. Heavily berried smoothies. 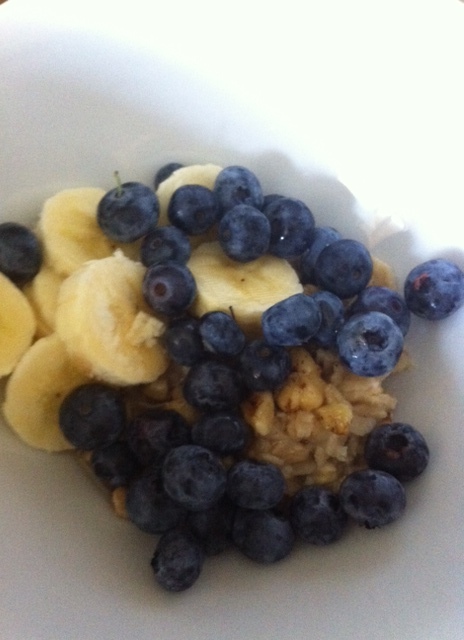 I also love to add fresh blueberries to oatmeal, crushed nuts, bananas and maple syrup. 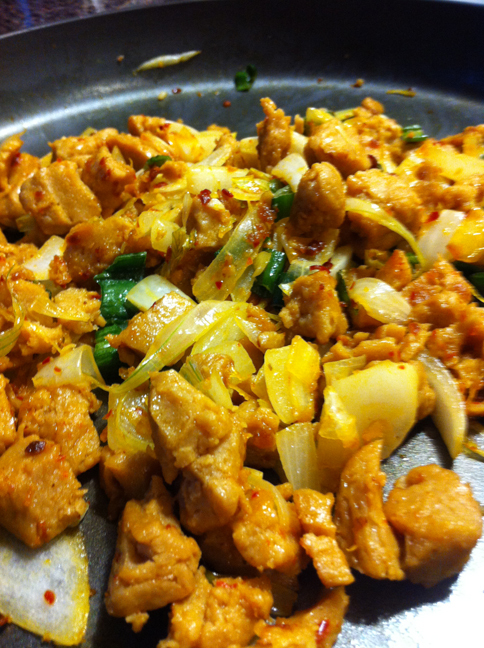 One of my favorite things to do is to make a big dish and use it in many different scenarios. 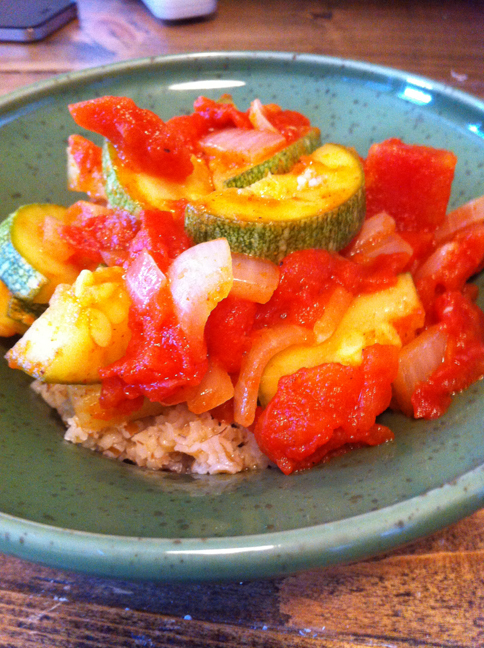 We made a ratatouille- or zucchini stew-with tomatoes and onions. 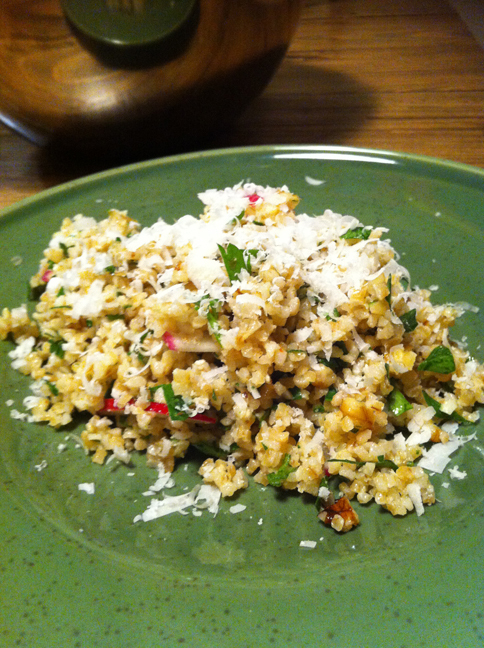 For one meal we used bulgar, for one we used cous cous and the third was over eggs on fresh toasted bread with olive oil and shaved cheese. 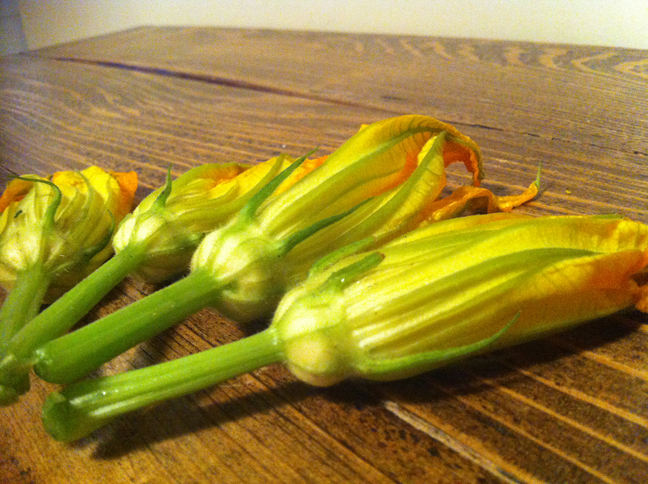 I have to admit we have not done anything yet with the zucchini blossoms. I do remember last year when I stuffed each one with a mashed potato and cheese mixture, beer battered and fried them. Delicious! But quite a lot of work. 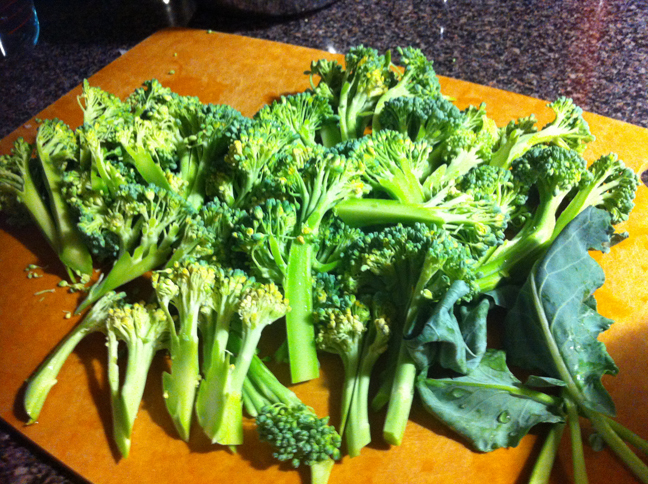 This year I may just toss with some pasta or a nice arugula salad. 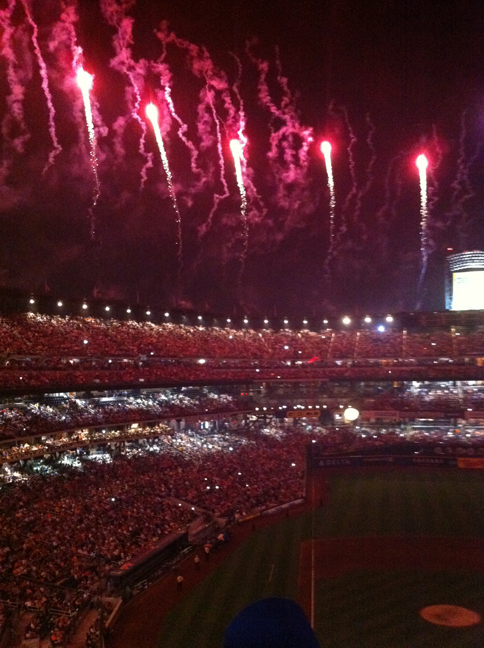 Hope everyone enjoyed their fourth of July!